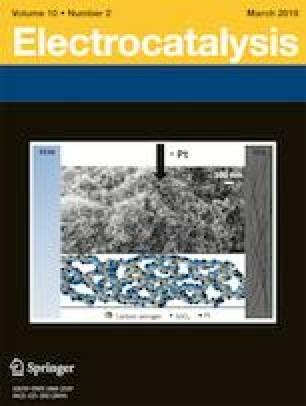 The influence of sputtered Pt40Pd57Al3 thin films of varying thickness, in the as-deposited (AD) and annealed (AN) state, was investigated for the electro-oxidation of aqueous SO2. From physical characterisation (scanning electron microscopy (SEM) and grazing incidence X-ray diffraction (GIXRD)), significant differences were found in the morphology and crystallinity between AD and AN samples. 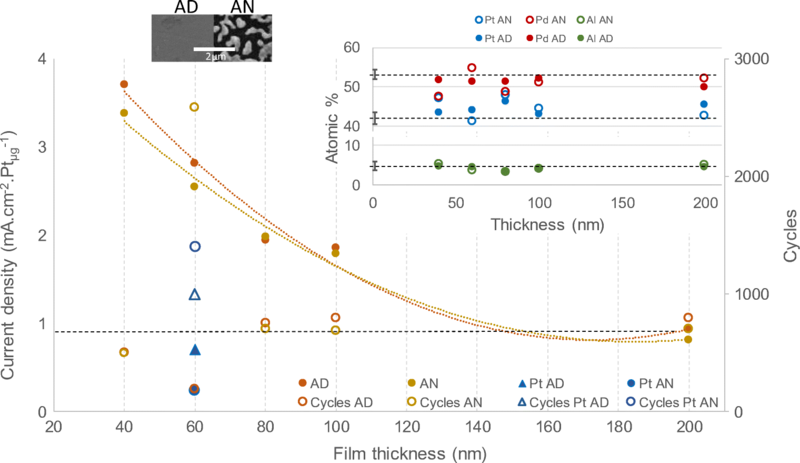 In terms of electrochemical activity, the current output for the AD and AN thin films decreased as the thickness increased, whilst the AN thin films in general resulted in lower current outputs. No specific trend was observed for stability in an acidic environment and a 60 nm Pt40Pd57Al3 thin film proved to be the optimum thickness for aqueous SO2 electro-oxidation. In addition, the 60 nm Pt40Pd57Al3 AN thin film outperformed pure Pt (60 nm, AD and AN) in terms of current density and stability, emphasising the fact that multicomponent electrocatalysts can be superior compared with their pure metal counterparts. The online version of this article ( https://doi.org/10.1007/s12678-019-00526-5) contains supplementary material, which is available to authorized users.